Some of the Ocean’s most iconic and alien-looking species are found in the Bathyal zone, 800 to 3500 meters deep. 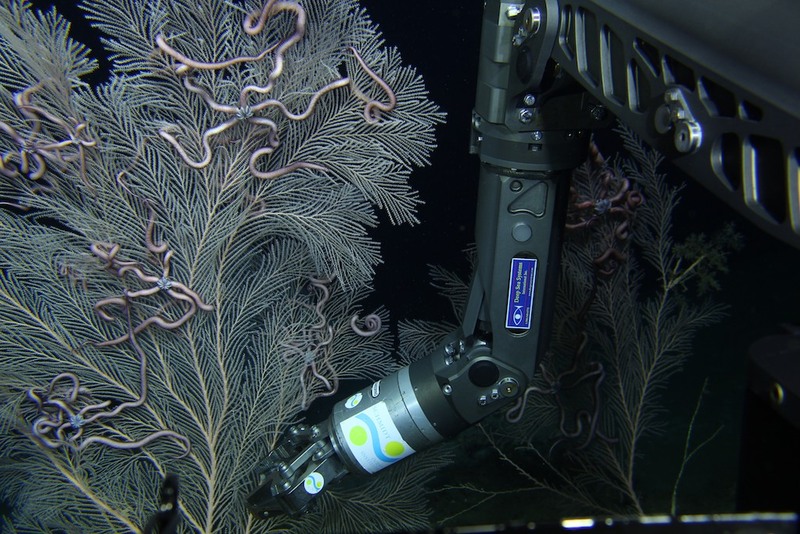 Also known as the midnight zone, the Bathyal zone is the least well-known depth zone in the ocean, but contains much of the deep sea coral diversity. This species diversity is almost completely different between the Aleutians and Hawaii, with species transition occurring somewhere along the Emperor Seamount chain. 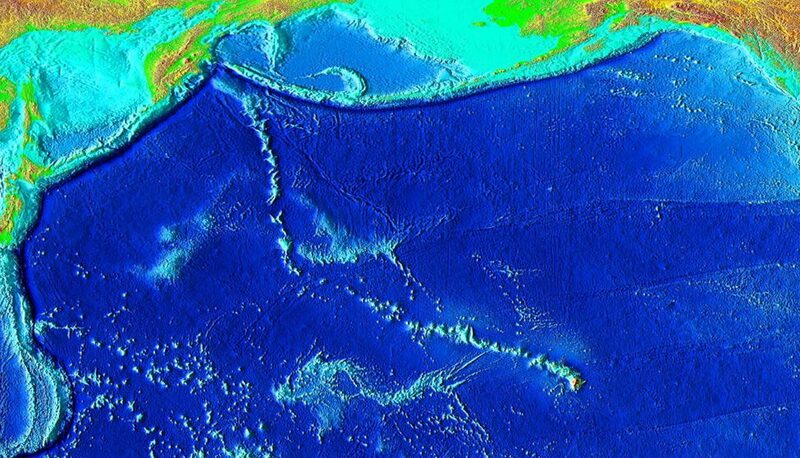 Professor Les Watling and his team hypothesize that this boundary is determined by the flow of North Pacific Intermediate Water that comes from the Gulf of Alaska and the northwest coast of North America and crosses the Emperor Seamount chain at the Main Gap. This zonal water movement could function as a moderate to strong barrier to north-south species dispersal and may be responsible for the observed faunal differences. The team will sample seamounts on each side of the Emperor Seamount Chain Main Gap to differentiate the coral fauna and the water conditions where the corals live. Octocorals are colonial organisms formed by numerous tiny animal “polyps” with eight tentacles. In deep-waters, octocorals are among the largest invertebrates and provide optimal environments for associated invertebrates and fish. These habitats are targeted by fishing trawlers who will drag nets across octocoral environments. Little is known about fishing impacts to these remote and deep regions. Octocorals are widely distributed at deep depths throughout the world’s oceans, however no specimens have been collected from north of the Main Gap, even though there is evidence of their presence from images obtained during previous fisheries cruises. During the expedition, scientists will collect high resolution video with ROV SuBastian that will help fisheries commissions and other management authorities identify vulnerable habitat. In addition to video, reliable biogeographic data will help to asses octocoral distribution, which can be used for natural resource management and policy making. Previous bathyal fauna like octocorals have been sampled along the Aleutian Islands off northern Japan and on parts of the Hawaiian Ridge. Scientists have found significant differences in the organisms living in these locations and suspect that currents play a role in this distribution. One current in particular may play the most important role in coral distribution, the North Pacific Intermediate Water. In the North Pacific there is only one range of seamounts between the Aleutian Islands and the Hawaiian Island chain that harbors bathyal species: the Emperor Seamount Chain. The North Pacific Intermediate Water crosses the chain at what is known as the Main Gap. This location will help the multidisciplinary team of scientists on Falkor identify this ecosystem transition. Up until now, most of the bathymetric surveys conducted in this area have been the result of transits, therefore lacking quality coverage necessary to pinpoint precise locations of study. This is why Falkor’s first task will be mapping the geologic features of the selected seamounts. During their time on Falkor, the science team will combine a series of holistic experiments at six seamounts along the Emperor Chain to see if their suspicions are correct. 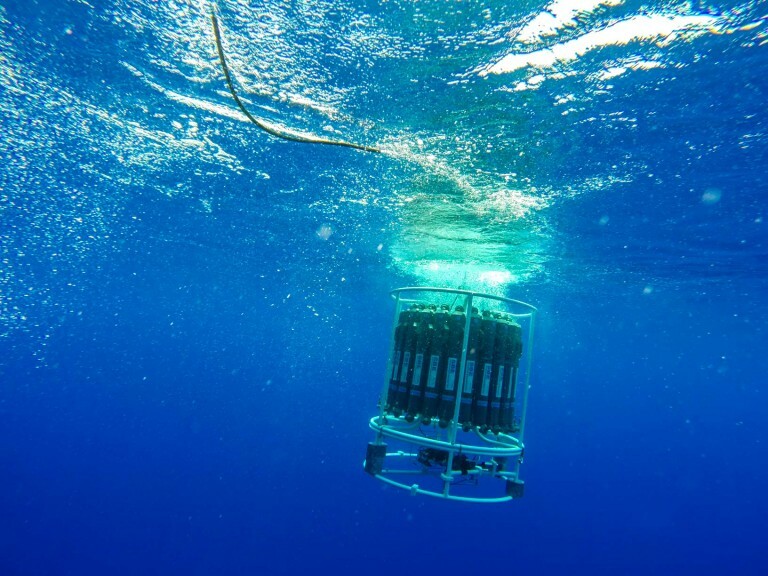 Using currents, mapping, and radio isotopes to track water masses – as well as genetic sampling of corals – the team will determine the driving force behind coral distribution in this region. They may even find a new species of coral. The soft-touch manipulator arms of Schmidt Ocean Institute’s ROV SuBastian will come in handy when picking up invertebrates and corals for imaging and genetic study. SuBastian will also be used to collect rock samples from the seamount, offering hidden clues of the past including circulation, chemistry, biology, geology, sedimentation and productivity. The team will use this information to reconstruct past environmental conditions going as far back as the last Glacial Maximum. 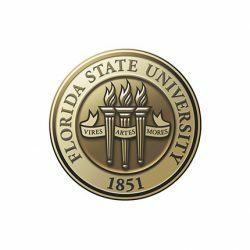 This information will shed more light on the historical motives for the distribution and differentiation between the two biogeographic regions being examined. In addition to the ROV work, Falkor’s CTD rosette will be used to identify an assorted mix of water masses that affect the types of organisms found at specific locations. Dr. Watling’s team believes that there are three water masses dominating the water column in the area with distinct geochemical signatures. Seamounts are fascinating features of our oceans and taking a closer look at them is always extraordinary. The team is hoping to better understand the distribution of octocoral species on each side of the Main Gap, as well as investigate the processes that influence these distributions. 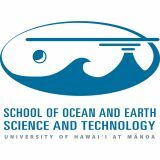 They will first produce detailed maps of the seamounts visited; these will be used to determine optimal dive locations for ROV SuBastian to collect octocoral samples for taxonomic and molecular analyses. Water samples will be collected to better understand the origin and characteristics of the environment in which the corals reside.